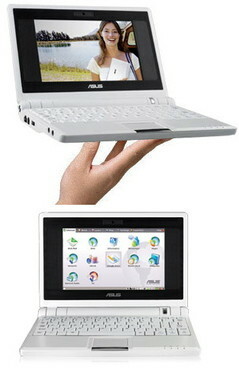 ASUS – the laptop makers famous for their Eee PC netbooks – are looking around for new ways to carry laptops. And they’re looking to you. A bit more than just a “design a bag” challenge Asus has partnered up with a fashion industry group called Fashion Capital and launched a competition to find an “innovative new carry-concept for your laptop”. So inventive types – get conceptualising! Personally I’d like to have my laptop carried around by a motorised buggy that had a sweet little robot face, could also recharge the computer’s battery and carry my coffee at the same time. Though probably if you want to win you’d have to be a little more realistic. They’re throwing the challenge out to designers and fashionistas, so maybe they’re hoping for jump-suits with lap-top pouches or something along those lines. The Eee PC range has targeted a female market through cute cover designs, very easy-to-carry but high-end notebooks and even collaborations with Disney. This new venture should wedge them a little further into the fashionable computer market. “In showcasing design-leaders ASUS we hope to inspire Designers and those in the Fashion Industry to think about how these new types of accessories are affecting what people wear and the way they wear it” says Jemima Compton from FashionCapital. How do you remain at the top of the fashion parade when you are carrying a laptop? Something I’ve never been able to work out. The winning design will snag a Asus laptop.